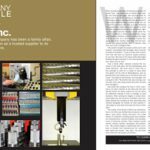 Home Company Profile Company Profile: Surface Technology, Inc. Surface Technology, Inc. began as a small family business during the recession in the early 1970s. 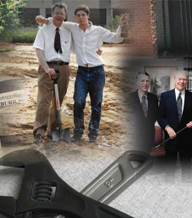 Deeply rooted in history and innovation, the company has evolved into a world leader in composite electroless coatings. In the early ‘70s near the end of the Vietnam War, the U.S. was mired in a downward economic spiral. As unemployment and inflation rose, so did the nation’s dependence on foreign oil. Emerging global competition in the metal industry triggered a steel crisis. The United States was in a recession. However, despite being surrounded by economic chaos and unrest, Dr. Nathan Feldstein took hold of his own destiny and opened the doors of Surface Technology, Inc., in 1973. The steel crisis catalyzed the plastics revolution, causing major industries, such as airline and automotive, to replace heavy metal parts with lighter plastic ones. But there still needed to be a way to apply metal coating to these non-conductors; the technology for that was not well developed. At least not until Surface Technology addressed this need. As the company became more involved in this revolutionary endeavor, it became apparent that there wasn’t only a demand for coatings on nonconductors, but there was also a growing need for advanced coatings. According to Feldstein, that meant coatings that didn’t just have the properties of the metal in the coating — such as nickel, chrome, or nickel-phosphorous — but coatings that also had synergistic properties. Surface Technology worked toward developing the process of incorporating fine diamond particles into the metal coatings for enhanced hardness, wear resistance, and heat transfer, and other materials such as ceramics and polymers into coatings that required low friction or release features. 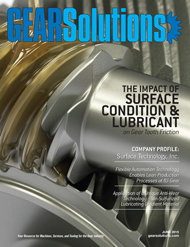 The utility of such advanced coatings is often most advantageous on more intricate parts with complex geometries. 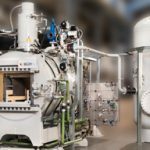 That required overcoming a number of significant inherent challenges, including stepping away from the age-old practice of coating metals by electroplating, which is when electricity is used to make the coating adhere to the metal object. In other words, the chemistry is blind. 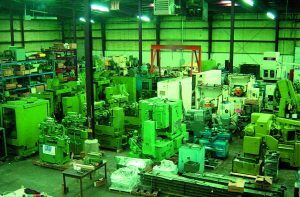 That is particularly beneficial to the gear manufacturing industry. 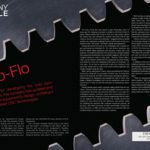 A gear has a complicated geometry, so electroplating of gears is cumbersome at best and often impossible. 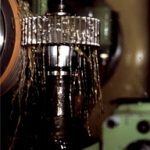 That’s because when an electric current is applied to a gear, there will be more of an electric current at the tips of the gear teeth and less at the trough between them, resulting in an uneven coating. 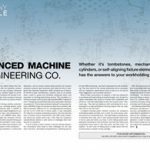 However, Surface Technology’s electroless method solved that problem by creating a coating envelope precisely around the profile of the gear. 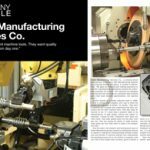 Since gears are often used in large volume applications, this is a way of batch coating many at a time and resulting in every single one being identical and being able to coat to very tight tolerances. 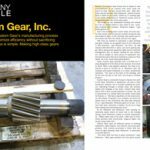 “Gears are a fascinating piece of equipment because a gear can be found in any climate in any industry in any application under countless usage conditions,” Feldstein said. “There are so many different needs for gears. By adding particles to the coating, it’s generally useful to have a harder, more wear-resistant, and corrosion-resistant coating. It certainly never hurts. 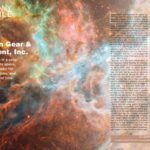 Another benefit from using Surface Technology’s electroless coating method comes with how it extends the life of the gear. 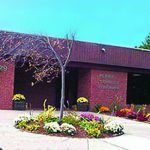 While they remained a plating shop like they were when Feldstein’s father started the business in 1973, their pioneering advancements in coating solutions required more than what was readily available. This meant that Surface Technology had to make its own chemicals for internal use in its plating shop. This led to the second side of Surface Technology’s business—selling their own chemicals to other coating shops around the world. 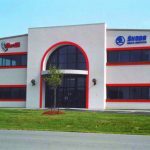 Surface Technology’s coating technology falls into three main areas, whether they’re doing it at their facility in Robbinsville, New Jersey, or selling it to a third party. The first is the Composite Diamond Coating®, which consists of electroless nickel and a very fine diamond that can produce coatings ranging from ultra smooth with nanometer-sized diamond to smooth coatings with micron-sized diamond particles and all the way up to textured surfaces with grit size diamond. The second is a composite coating with lubricating particles that reduces friction in critical applications; a feature very useful in many gear applications. And the third is one of Surface Technology’s latest developments — TraceCoat®. This is a composite coating just like the first two types, but instead of using hard particles or low-friction particles, TraceCoat uses forensic particles — ones that can’t be heard, seen, or smelled. While these particles remain hidden, they can be detected with a small electronic reader that is roughly the size of a television remote control, and they’re able to verify the gear’s authenticity. Surface Technology also sells a TraceCoat additive so that other companies can use it in their own metal coatings. Additionally, due to further recent innovations, all of Feldstein’s composite coatings, including TraceCoat, are available in black versions, which is key with firearm applications and other applications where the coating needs a black aesthetic. 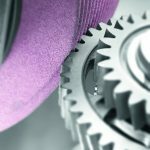 These composite coatings can be found in a wide range of industries all over the world aside from gear manufacturing, including aerospace, automotive, oil & gas, food processing, pharmaceutical, and namely the textile industry where there are gearing and spinning-related applications that especially benefit from Surface Technology’s Composite Diamond Coating. Ultimately, while Surface Technology is proud to sell these products to the people who need it, Feldstein said they are primarily focused on research and development and continuing the legacy his father left behind. “Before my father passed, he had over 100 patents to his name and served as his own patent agent,” Feldstein said. “He was prolific as an inventor. So, we do a lot of contract research and development because we have so many patents and so much know-how in this area of electroless nickel coating and composite electroless nickel coating. 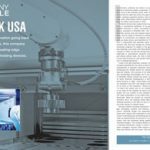 For more information, contact Surface Technology, Inc. at (609) 259-0099 or at info@surfacetechnology.com, or go online to www.surfacetechnology.com.